Tribute compilation for Angel Witch; we contributed a version of “Loser”. Sold out. 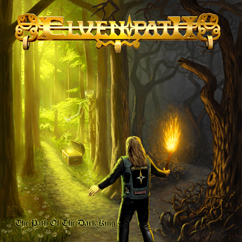 American compilation, featuring mainly rather modern bands besides Elvenpath. Sold out. Latvian compilation, mainly Death, Black and Pagan Metal. Our contribution is a remix of “Eternal quest”. Sold out. Portuguese compilation, anything from melodic to brutal stuff. Again, our part is a remix of “Eternal quest”.